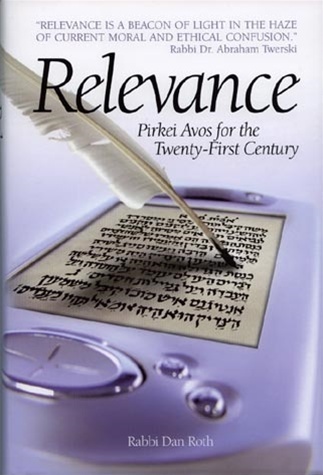 Pirkei Avos is the classic “how-to” book: how to live, how to grow old, how to be satisfied, how to treat other people, how to love and be beloved, how to live a life of contentment, peace and fulfillment. 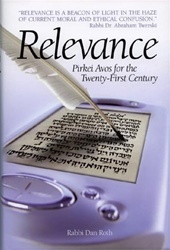 Relevance is a collection of essays on selected mishnayos from Pirkei Avos which show us that the teachings of Pirkei Avos are timeless; they contain answers to the moral challenges of each generation, as well as lessons and ethics that far surpass the wisdom of modern thinkers. Timely, worldly, witty, and readable, this book is an absolute inspiration.